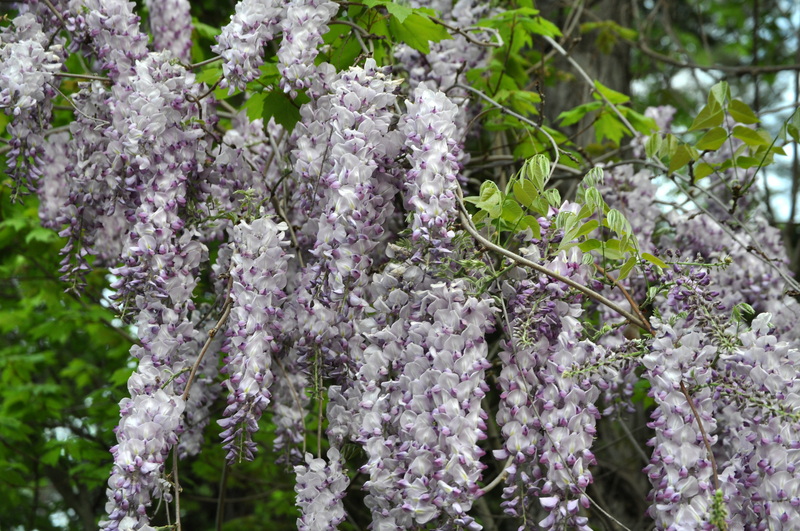 While I understand that some people plant Wisteria on purpose, in this part of the country (the Southeastern US) it is considered an invasive species. It can overtake and choke out acres of trees and other native plants. It blooms in the spring around here… the blooms are beautiful, very delicate, about 9 inches long, and only last about 2 weeks. The plants then continue to grow and spread over the remaining of the summer. But, it smells oh so delicious! I really wish I could describe the smell to those of you who may not be lucky enough to have this plant grow where you live. It’s sweeter than honey suckle. More fragrant than gardenia. It’s easy to catch whiffs of it as you’re driving down the road and you just have to close your eyes (not advised while actually driving) and breath in the wonderful, intoxicating scent. It is truly heavenly! In fact, in my opinion, heaven should smell like wisteria, gardenia, and jasmine. 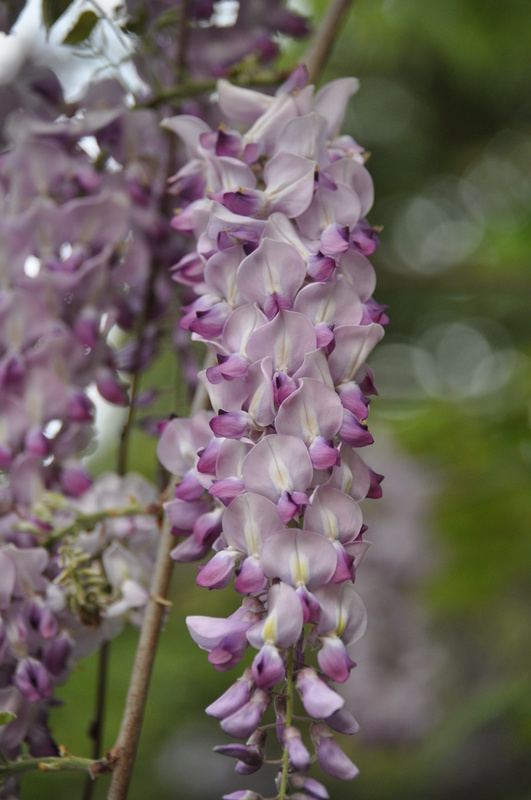 From what I hear not all wisteria smells this heavenly, but the Lord has certainly blessed us with a highly fragrant species in this corner of the world, and for that I am grateful. In the meantime though, I will continue to enjoy it for it’s beauty and intoxicating fragrance. That is certainly enjoyment enough. 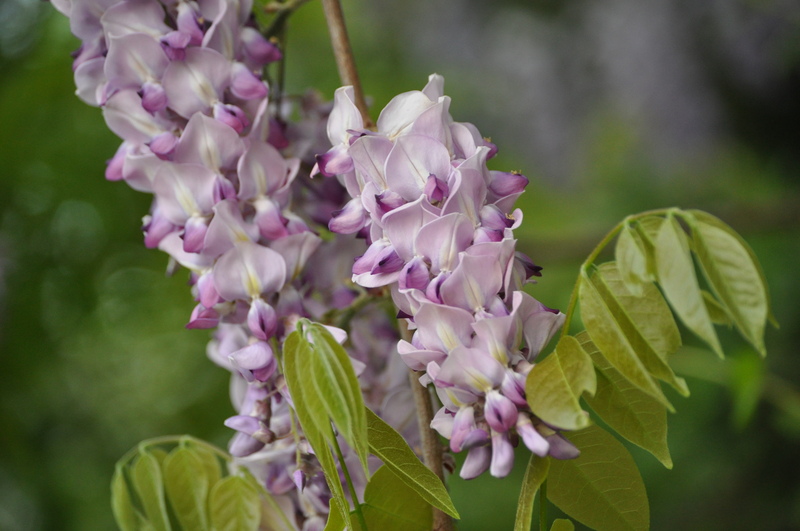 This entry was posted in Homesteading and tagged delicious, fragrance, gardenia, heaven, heavenly, intoxicating, rose, wisteria by monkeyneedle. Bookmark the permalink.